It's Friday :) Yahoo and it's the weekend. Today I work in the morning and then this afternoon mom and I are running to the farmer's market to pick up apples for mom's famous apple pie :) yummy. I can't believe Thanksgiving is less than a week away. Who's going shopping Black Friday? Mom and I do it every year. Our first time going we said never again. The following year we went again and said never again...We've been doing that ever since lol. I hope you enjoyed today's super fast video. Have a great day everyone. You are so creative. 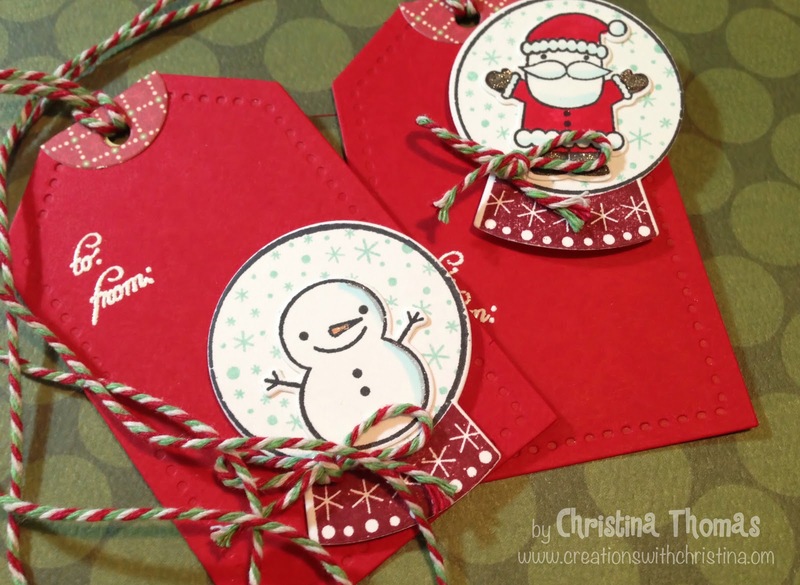 These are just the cutest tags and I love that you used your leftovers! Love your tags. Thanks for another great video. Have a great weekend making pies! Useing all our little scraps is what scrapbooking is all about. These are soooo cute. You are having way to much fun!!! You go girl!!!!!!!! Love the tags. That tag is my favorite to work with. Your tags are so cute, love the images. These are adorable. Unfortunately the tag die is out of stock at Papertrey Ink. I'd have loved to get it. Oh, well. Thanks for the inspiration, as usual, Christina.